STOCKHOLM -- Saab will apply for court protection from its creditors, Swedish public radio quoted sources as saying today. Saab, rescued from bankruptcy last year by Dutch company Swedish Automobile NV as former owner General Motors Co. prepared to shut it down, has struggled to raise funds to restart production, pay wages and settle suppliers' bills. Public radio quoted what it called several different sources as saying the company would apply for court protection from creditors. It did not say when this would happen. Saab declined to comment on the report. Spokeswoman Gunilla Gustavs said the company continued to work on raising the necessary funds. Michele Tinson, Saab's U.S. spokeswoman, said in an e-mail she could neither confirm nor deny the report. The company's most recent statement said: "Saab Automobile AB is now working on other options to secure bridge funding which would allow us to stabilize operations, finalize negotiations with suppliers on payment and delivery terms and restart production. "We have reached agreements with the majority of our production-related suppliers." If the company obtains a court creditor protection order, it would place it into a process of corporate restructuring. 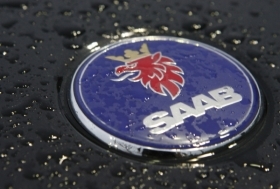 Under this process, which Saab entered in 2009 after GM made clear its intention to cease funding the company and exited later that year, the company is granted temporary protection from creditors while an administrator and management seeks to restructure it into a viable business. The company earlier said it was delaying its second-quarter report to Aug. 31. The Saab production line has been shut almost continuously since late April after suppliers with unpaid bills stopped providing parts. Saab says it has an agreement with some creditors but it has also said production will not start again until Aug. 29 at the earlier. Saab has lived hand to mouth since the start of the year after a sales shortfall last year left it short of cash. CEO Victor Muller has signed investment deals with Chinese car distributor Pangda and carmaker Zhejiang Youngman Lotus Automobile Co. He has raised more than 100 million euros in loans and car sale agreements since the start of the year.